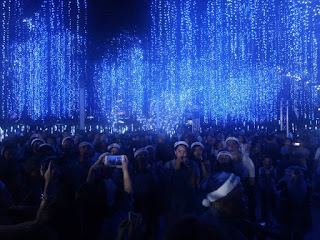 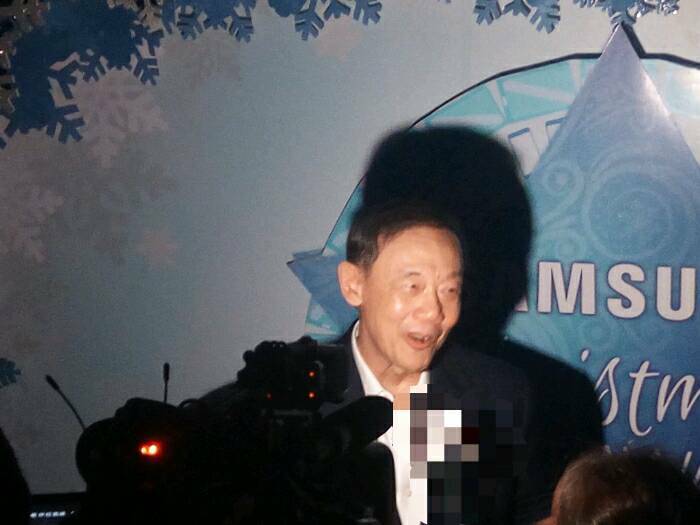 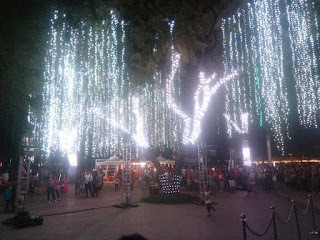 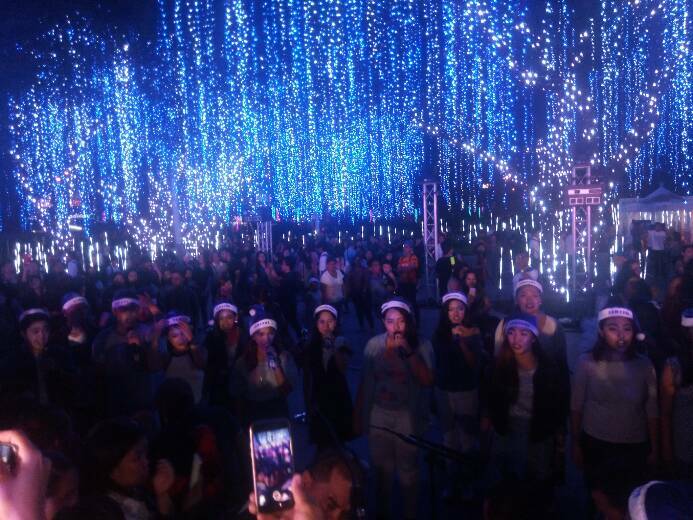 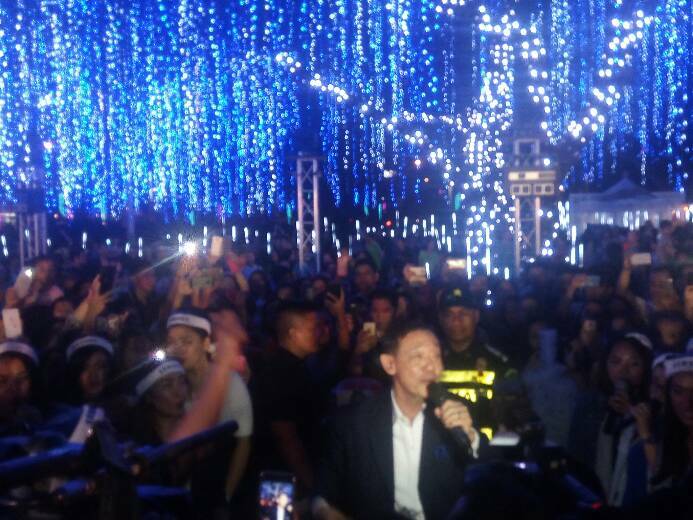 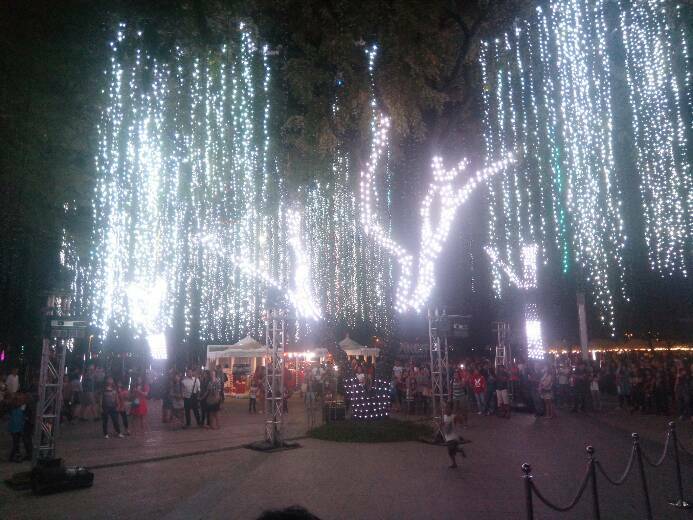 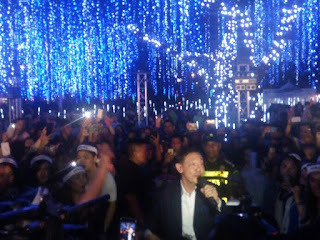 It was November 17 2016 at past 7 pm at the 3rd day of the ongoing Christmas Light Art Show 2016 at Ayala Triangle Gardens when someone just gave a surprise to the crowd. First off, there were a number of random singers in different parts of the park until the whole choir was formed as they sang some known Christmas tunes with their Samsung-themed holiday hats. 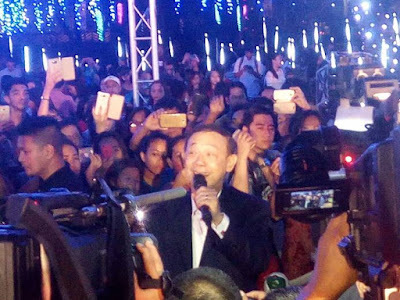 When we already saw a stage platform and a solo mic with stand, I knew that someone is coming.